Hildegarde Naughton TD is Chair of the Joint Committee on Communications, Climate Action and Environment. Elected in 2016, she also serves on the committees for the Future of Healthcare and Budgetary Scrutiny. 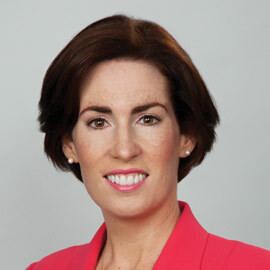 Hildegarde was a primary school teacher and previously served as a member of Galway City Council in 2009 and was Mayor of the city in 2011/2012.